The Lions are set for a true examination of their character on a challenging tour to Australasia that could make or break their campaign, writes CRAIG LEWIS. When Lions coach Swys de Bruin named his 26-man touring squad on Monday, it was rather revealing that it included a lengthy list of 10 players unavailable due to injury. In addition, the likes of Harold Vorster, Tyrone Green, Wandisele Simelane and Warren Whiteley remain on standby in South Africa. It tells the story of a season that is truly testing the depth of the Lions, with several experienced players – particularly among the forwards – having already left the franchise last year. 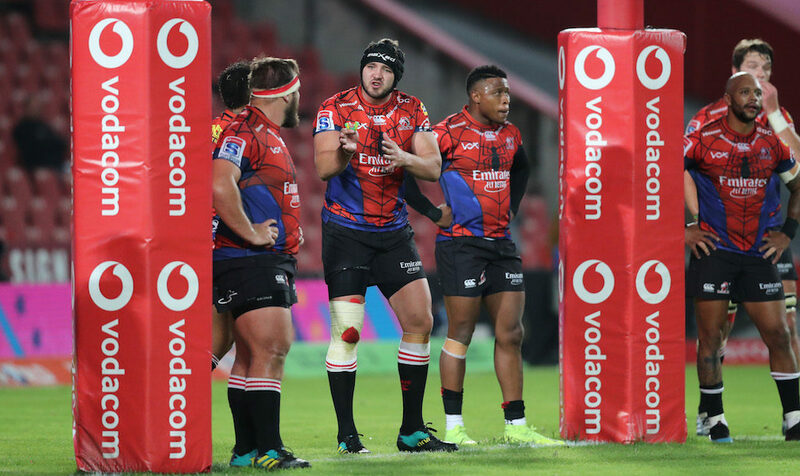 De Bruin has mentioned more than once this season that he has had little option but to back some of the next-generation players, and just this past weekend he likened certain aspects of this campaign to that of 2014. 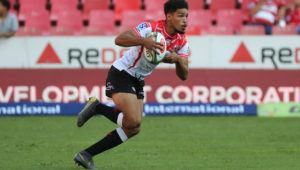 That was the year that the Lions re-entered Vodacom Super Rugby after a year in the wilderness, with the Johannesburg-based side effectively starting from scratch back then. Up to this point, the Lions have done fairly well to win four games from seven, but it will hurt that their three defeats have come against South African opposition, with the worst of the lot coming in Saturday’s blowout against the Sharks. It’s really the first time in three seasons that the Lions have been so comprehensively outplayed, and De Bruin was understandably taken aback by the 42-5 thrashing. 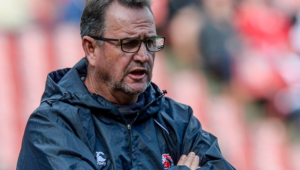 De Bruin added that the Lions had to find a way to remedy a habit of making slow starts to matches, but suggested that it would be a good time for the team to head on tour. For one, it will be interesting to see whether De Bruin persists with Aphiwe Dyantyi at outside centre, although there is the very real possibility that Franco Naude could instead unite with Lionel Mapoe in the midfield. Although Hacjivah Dayimani, interestingly, came on as a back replacement against the Sharks, it’s also expected that he will now return to No 8, with Kwagga Smith not likely to be ready to face the Brumbies this Saturday. Following that clash, the Lions will tackle the Chiefs and Crusaders, and so they will know that they really need to view this weekend’s game as a must-win. As it stands, last year’s runners-up are hovering in seventh place on the overall standings, and will not want to lose sight of a playoff place while on tour.